15th Edition. You do not see many of these at all. This is in Good+ condition, for the year. The covers are original , they are a touch faded but I have seen a lot worse, for some reason Wisden made this and the 79 shiny and it didnt last the test of time. The covers are clean overall with marks to the edge and a couple of touch ups at the extremeties , the spine is new and excellently made. 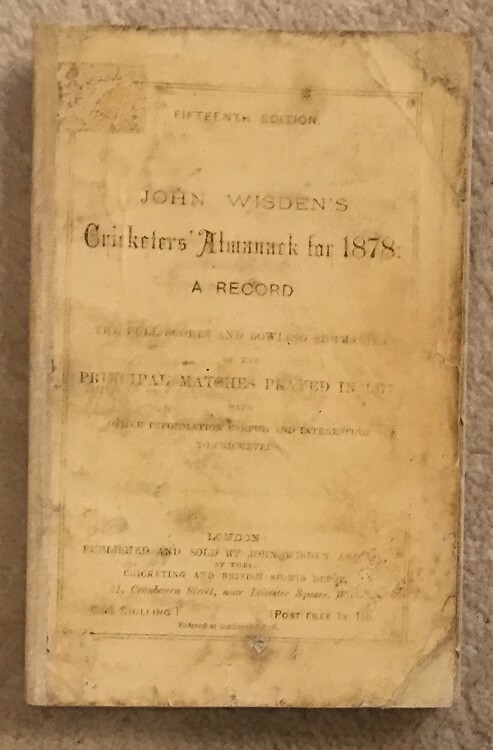 A couple of dark patches insise but overall a nice and rare Wisden. Please see the pictures and video.